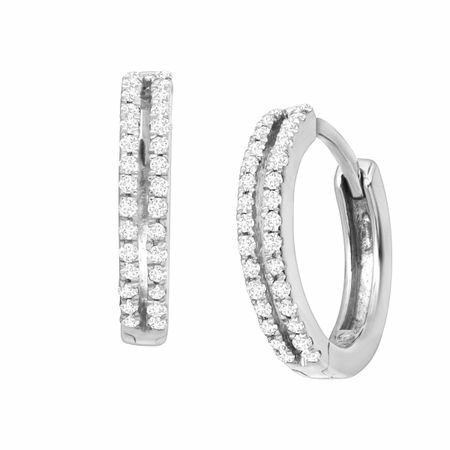 Add these dainty hoops to your collection for a great everyday piece! Two rows of round-cut diamonds, totaling 1/4 ct, decorate the face of these petite huggie hoops, crafted in sterling silver and finished with hidden snap posts for an endless hoop look. Pieces measure 1/2 by 1/16 inches.